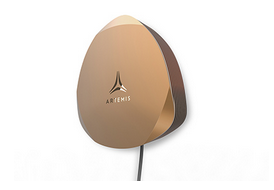 When Artemis Networks came out of nowhere a month ago, we speculated that if their new wireless technology worked as advertised it could bring a “welcome revolution to stadium wireless networking.” Apparently, lots of stadium folks thought the same exact thing. And they’ve kept the Artemis office phone ringing off the hook ever since. Though stadiums weren’t part of Artemis’ original plan, after a month of fielding calls from and taking meetings with multiple interested stadium owners and operators, company CEO Steve Perlman said his small crew is now busy working to also make its gear work with Wi-Fi, to better answer the growing need for connectivity inside large public venues. In an in-person interview earlier this week with Perlman at the Rearden Companies facility in downtown San Francisco, Perlman said he and the Artemis crew “had no idea” that the stadium networking market even really existed, or that it would be so very interested in something that could possibly ease a lot of their connectivity pains. “It came down on us like a ton of bricks,” said Perlman of the outpouring of demand from venue representatives. And while Perlman prides himself in having his team “solve the hard problem first” of getting its new technology to work with cellular LTE signals, the request for a Wi-Fi version from stadim operators and owners — available preferably yesterday — has the Artemis team working hard to add Wi-Fi support to its product’s repertoire. Add to that the fact that Artemis isn’t just a technology theory, but instead something far closer to a finished product, and you can understand the stadium network crowd’s desire to learn more. What makes pCell technology especially appealing is the fact that it supports existing phone and wireless device technology, so users don’t need new devices. Stadiums and arenas would need to install pCell antennas and back-end computing gear, but Perlman also noted that pCell technology could exist alongside current Wi-Fi and DAS implementations, with handoffs to either one. That means a stadium could deploy pCell as an add-on technology to help fill in coverage gaps and not as a rip-and-replace, a try-it type business situation which could make Artemis even more appealing to the large-venue market. Though it was the solving for the increase in overall mobile data use that helped push former QuickTime developer and WebTV entrepreneur Perlman and his team through the more than 10 years it took them to develop pCell, Perlman said he should have figured out the stadium issue after his own experience this past football season. Perlman, who attended the Rose Bowl game between Stanford and Michigan State on New Year’s Day, told a story about his brother going to get some food from the concession stand early in the contest. After his brother left the seats, Perlman decided he wanted some french fries to be added to the order, so he sent his brother a text message with instructions to add fries to the shopping list. “He came back with the food but in the heat of the game I forgot all about the fries, which he didn’t get,” Perlman said. The reason why? Perlman’s text message didn’t reach his brother’s phone until 45 minutes after it was sent — an experience still too common at many stadiums these days. While Perlman expects Artemis to provide some of its initial products to cellular service providers later this year, the demand to solve stadium networking problems may end up pushing Artemis more quickly into the arena business, assuming it can modify its gear to work with Wi-Fi, along with LTE, signals. While the company has some doubters — perhaps normal for any new technology with such far-out claims — at the very least it has the confident, previously successful Perlman at its helm, and an incredibly impressive set of demonstrations of its technology available for interested parties. Whether or not those demonstrations become part of working, production networks is the next step ahead of Perlman and his crew, a path you can be sure we will be watching closely. Along with many of our readers in the stadium networking marketplace, we are sure.